Numerically, the most common yachts for sailing across the Atlantic are ordinary production cruisers with standard kit, usually with upgrades of safety and power generation equipment. The happy truth is there’s no black art to sailing 3,000 miles downwind; the toughest part can be getting across the Bay of Biscay. So whatever boat you have right now, the chances are that she’ll be fine for an Atlantic crossing with a bit of extra preparation. You don’t have to let waiting for the ‘right’ boat put you off going. However, this doesn’t apply so much if you intend to complete an Atlantic circuit and sail from the Caribbean to Europe. The return route can be very tough, with a real chance of rough windward work, and a yacht that is wonderfully comfortable and spacious at anchor can slam and be very uncomfortable on the way back. Shipping back or delivery are both alternative options. I’ve found that skippers tend to focus on equipment that adds comfort, but also complication: watermakers, generators, comms equipment. All are undoubtedly useful, but remember that every additional item adds complication, spares and service cost/time. Apart from a sound boat, all you really need is water, food, fuel and a (paper) chart of ‘North Atlantic, Southern Part’. Whatever else you do, don’t let those extras distract you from ensuring the integrity of the rig (including the boom and gooseneck fittings), rudder and hull. These are paramount. Rudders, in particular, are subjected to very high side loads in big following seas. I’ve seen people about to set off across the Atlantic on boats that were sporting the latest luxury kit, from ice cream makers to air conditioning, but with split pins not bent back or a clevis pin working out. The simple answer is reasonably recent, quality sails that aren’t liable to break. 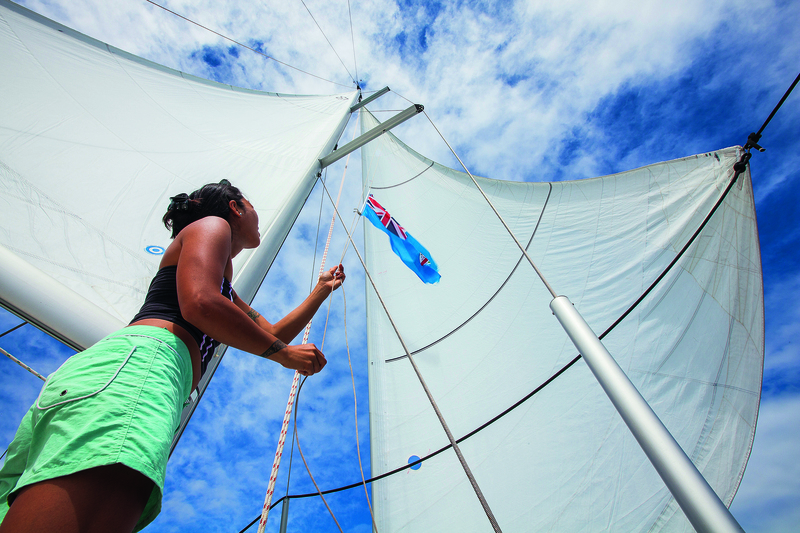 However expensive, good sails are worth every penny. As to what combination is best on a long downwind passage, that’s a complicated and potentially long-winded debate. Let’s just say that, for the average family crew, a smart crossing is all about consistent speed, 24 hours a day. The key is not to have downtime. There is absolutely no need to sail hot angles downwind unless you are sailing to polars on a high-performance design. A spinnaker or code sail is great in lighter winds, but in stronger winds you will need several crew on watch at a time and if you blow the sail in a squall or a sudden reload it will be a costly choice. There is nothing wrong with the old ‘barn doors’ arrangement of mainsail and poled-out genoa. Sure, it’s unflashy and unheroic, but it’s also easy, trouble-free and you’ll trot along in any conditions with minimal drop in speed for the occasional gybe. Just keep an eye out for chafe and be sure to set up a preventer on the boom and a foreguy topping lift and downhaul when poling out the headsail, so you can furl in quickly when that night-time squall hits (which it will). However much power you expect to use on an ocean crossing, you will need more. Nav lights, radar, radio scheds, autopilot, watermaker, fridge, freezer, computer, fans – you name it, they all add up. Last year, when we carried out our annual survey of ARC skippers, we found that yachts of between 46ft and 55ft had a battery capacity, on average, of 700ah, rising to 1,000ah for yachts over 56ft. 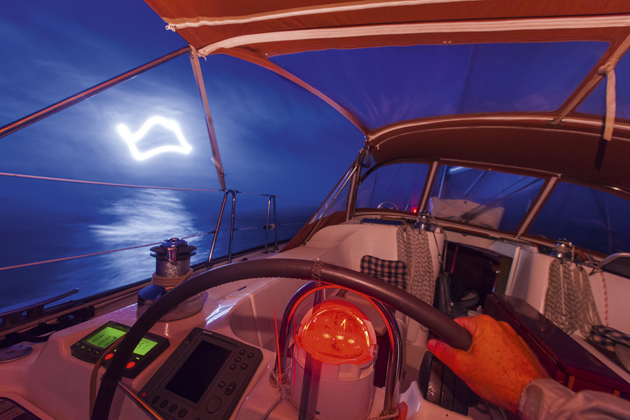 Since the design life for marine batteries is five years, it makes sense to set off with new batteries – it’s easier and may be cheaper than replacing them later. A majority of people in our survey had an extra house or domestic battery bank and one or two had boosted the battery used for their windlass. 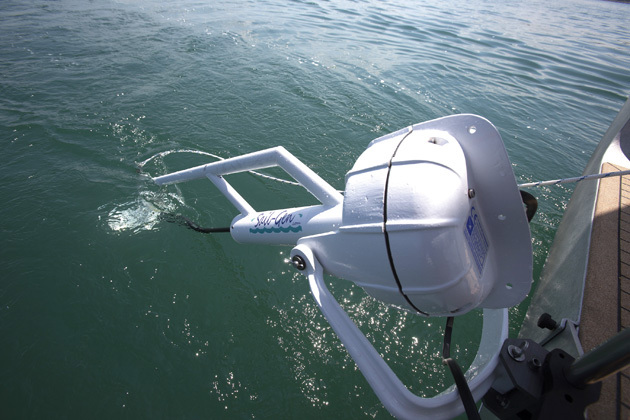 Interestingly, when we asked about the power equation again in our follow-up survey a few months later, numerous skippers said that they had increased battery capacity yet again or planned to do so in future. Rather than adding to machinery with a diesel generator, it’s worth looking at wind generators, solar panels and the Watt & Sea or Sea-Gen water turbines. These alternative power generation sources have advanced a lot in recent years. A larger alternator may be worth fitting too, and if only one is fitted to the engine, carry a spare. Be prepared for key equipment to fail because sooner or later it probably will. If it’s gear you normally rely on, like an autopilot or watermaker, have a contingency or a workable plan to do without. Of all the gear problems that give most stress and trouble, the most pressing is autopilot failure. That will start to put a small crew under strain by robbing everyone of rest time. For the same reason, it’s a good idea to make sure most or all of your crew are decent helmsmen downwind in following seas. If not, spend some time on passage tutoring them.